Since this was my first year as a blogger, even though I didn’t start until mid-February, I decided to sign up for some of the reading challenges that are available on other blogs. I may have overreached in setting these goals, but it was still a lot of fun to try! The goal was to read as many books on your shelf as possible, those books that you haven’t started but that you had when 2013 started. Since there were tons of books on my to-read pile that I’d had for ages, this seemed like a good incentive to get me working my way through them! I chose to participate at the Trying level, meaning that I was going to try to read 15 books that were sitting on my shelves at the start of 2013. FAILED – I only read a measly 2 books off my shelf, there were just too many new books coming out constantly for me to take a break and go back to those that had already passed me by! This is an area where I hope to do MUCH better in 2014! The challenge was to read classics (must have been published prior to 1980) this year. There were no levels, but I signed up to read 3 – hoping to reread great books that I read in high school or college that I have always wanted to read again. I thought it would be interesting to see what some “maturity” (ok – aging) would do to my perspectives. FAILED – I only read 2 out of 3, once again those pesky new books kept distracting me! The goal was to read more non-fiction books. I largely read fiction so this was a great challenge for me. I signed up for the Geek level, with the goal of reading 4-6 non-fiction books in 2-3 different categories. COMPLETE – Yay! I read 6 non-fiction books and thoroughly enjoyed them all! I am hoping to read even more in 2014. Although I am Irish by marriage only, I love Irish authors and books that take place in Ireland, so this should I thought this would be a fun challenge. I signed up for the Luck o’ the Irish level and tried to read 6 books for this challenge. Maybe it’s living in a climate where the winter seems to last too long, but I devour books that are set in the south. I signed up for the Y’all come back now, y’hear! level with the goal of reading 4 books for this challenge. COMPLETE – Yay! I read 6 southern books, two more than required by the challenge! In the middle of this cold northeastern winter I am sure I will read some more soon! What’s in a Name 6 – COMPLETE! OK, so I signed up for this one because it would be pretty easy for me considering that I work in a library and most of what I read comes from the library. The goal was to read books from your local library. I signed up for the Just Insert IV level with the goal of reading 50 books from the library. COMPLETE – Yay! I was able to include 54 books that I checked out from the library AND that I wrote about on my blog! What were your reading goals for 2013? How’d it go? For a list of all the books that I read for my challenges, and links to my reviews of them, go here! Simon and David cross a body of water, lose their memories while crossing it, and come to a new land where they are given new identities and are learning the new language (which happens to be Spanish). Simon has taken charge of David, a young boy with no memories of his parents. In this new land no one questions anything; they don’t look for better ways to live, to work, to love. They simply exist, content but not happy, doing but never striving. Simon still has enough recall to struggle with this new attitude, but once they are settled with clothing, a place to live, and a job he sets about trying to find David’s mother. 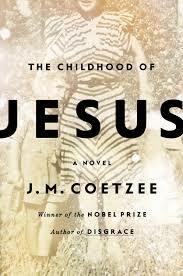 Seemingly randomly he chooses a young woman, Ines, to be David’s mother and she accepts. Simon gives the boy over to her and she shuts David off from the rest of the world – while indulging his every whim. David is a bright boy – teaching himself to read and numbers – but refuses to perform in school. While David may be brilliant in his own way, and certainly lives in his own world, he is also largely a spoiled brat and no one seems to require appropriate behavior, or even expect it. While Simon doesn’t understand David and his ways, he seems to accept them, and Ines is completely indulgent. Personally, I wanted to ground him, send him to his room, take away his toys, something! When the school threatens to send him away to a special school, Ines enlists Simon’s help and they escape, headed towards an unknown destination. 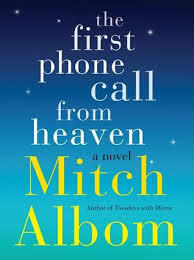 In Mitch Albom’s latest a group of people in a small town in Michigan start receiving phone calls from their deceased loved ones – from heaven. The police chief gets calls from the son he lost in Afghanistan, Tess’s mom calls after having died from Alzheimer’s, Katherine’s sister died of an aneurysm but now is calling her every Friday. Sully doesn’t believe in any of it, his wife is dead, he can’t find a job, and he just served ten months in prison for an accident that wasn’t his fault. When his 6-year old starts waiting for his dead mom to call him Sully decides it’s time to prove that the phone calls are a hoax. With the help of another man who is getting calls (from a man who blames him for his death) and the local librarian (this might be the best part), he goes on a quest to find out the truth. I really, really wanted to like this book. I loved some of Mitch Albom’s previous works – Tuesdays with Morrie, The Five People You Meet in Heaven. I didn’t love his previous book, The Timekeeper, so I was really hoping that this book was going to make me a die-hard fan again. It didn’t happen, and I’m not sure why. Maybe I’ve outgrown the stories that he tells? Or they touched me because of a where I was in my life at the time that I read them? I’m afraid to go back and re-read previous books, scared that I will discover that I don’t love them anymore. Or maybe this just wasn’t one of his best works and the stories he tells are becoming to formulaic, with no real surprises left, no new discoveries to make? 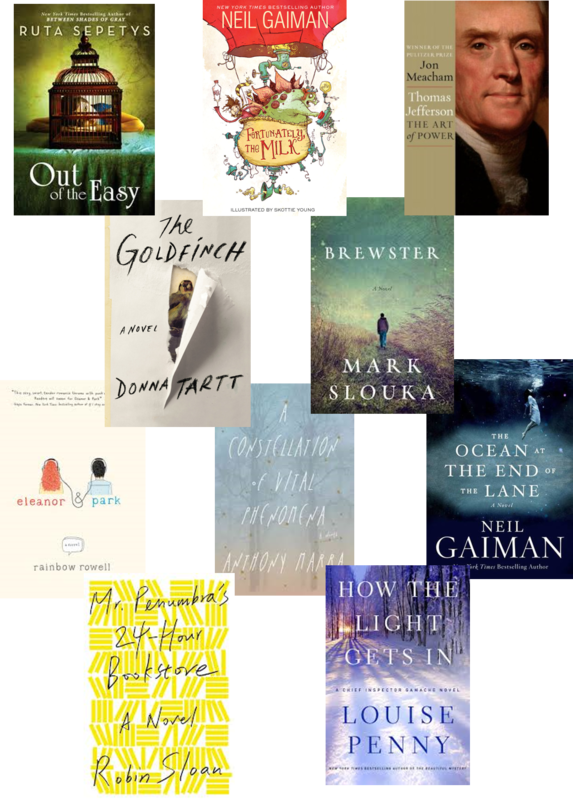 So this week’s challenge was to list the top ten authors that were new-to-me in 2013. 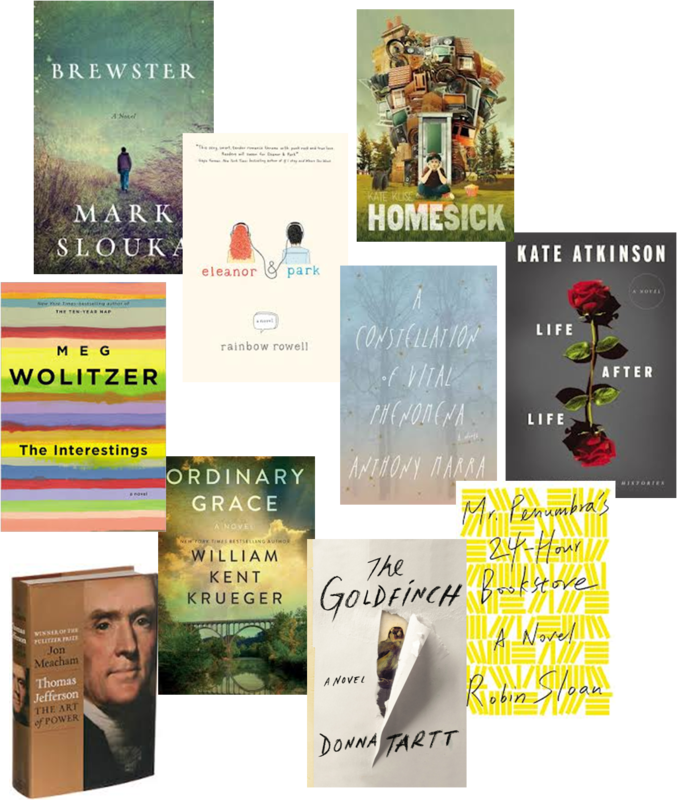 While most of these authors are not new, they were new to me, and these were all books that I loved this year!